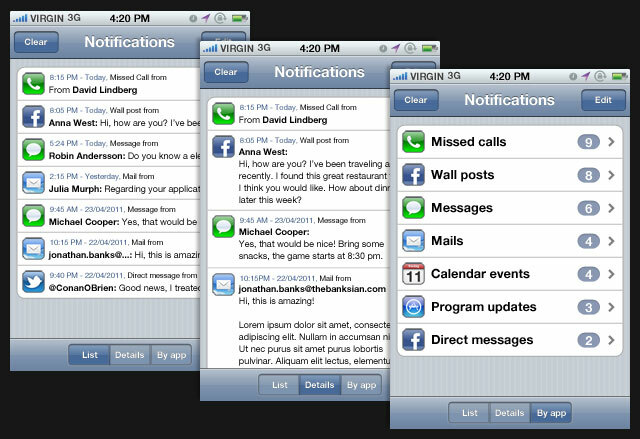 iPhoneFreakz _ All The Latest And Greatest iPhone News » New Notification Concept For iOS! There are a lot of really great concepts for iPhone notifications, but they all seem to stray away from what is the look and feel of iOS. So my idea is pretty simple, Andreas Hellqvist have created a concept using only the existing graphical resources of iOS, short of a few few exceptions. But Andreas Hellqvist still feels that they are in bounds of the visual philosophy. Let’s get the obvious out of the bag first, the notification system in place today is kind of intrusive. The popups are so in my face that I have pretty much opted out of every notification I can. There is however another way to inform the user of an event such as an incoming message. The app switcher popup isn’t quite as intrusive as the current popup. It would be great to use for notifications. When I started thinking about how to improve the notification system I felt almost immediately that Apple is all about apps, so why not make an app that handles this task. Take Settings for example, one would think that the entrance to this would be more integrated into the system, but in Apples case they view it as just any other app. Therefore you as a user can choose whether this is important to you or not, i.e. noteworthy of a first page placement or even quick launch bar. Having one app that handles all notifications also reduce the time you have to spend hunting them all in various apps. 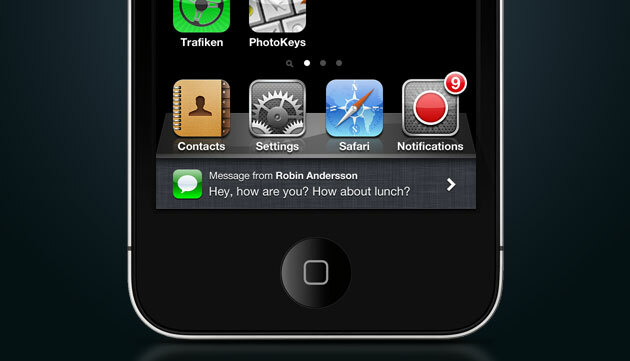 Notice that it summarize all the notifications and then present them in the red indicator badge. The great thing about having notifications in an app is that you can move it around just as you can with all other standard apps. For way more information and explanation about Andreas idea check out his blog here. 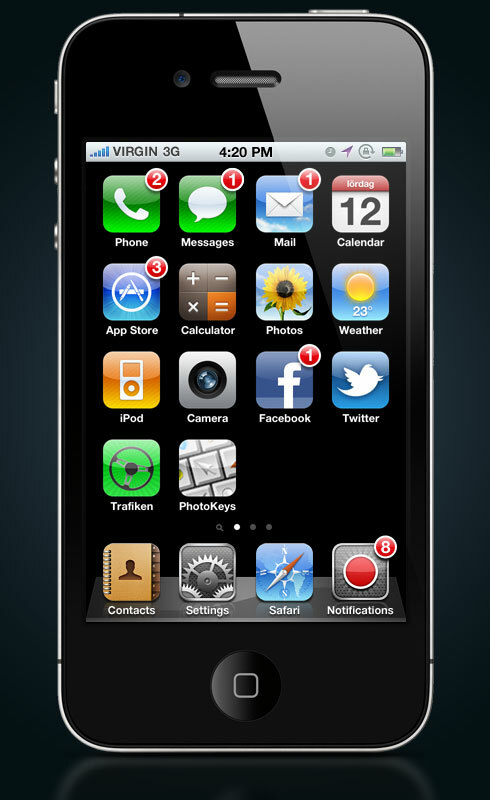 Today apple use it to display active applications and if you scroll left they show controls for the iPod app. I think there is room for the last notification you received also.